We didn't see many migrants the spring. The fall is picking up. 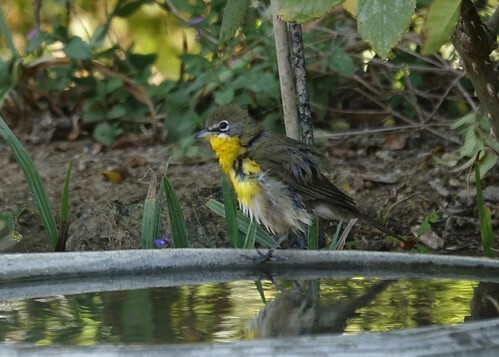 First we had a yellow breasted chat which is quite rare in our yard waste. 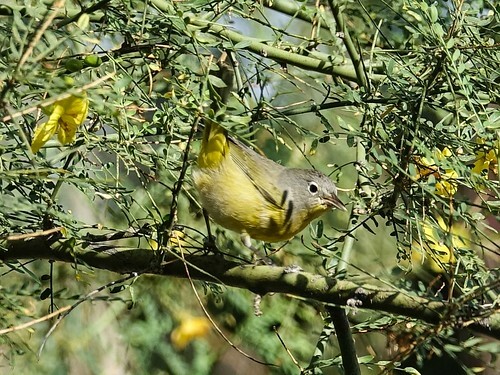 Next, we got a Nashville Warbler.